Low on energy? Feeling overwhelmed? 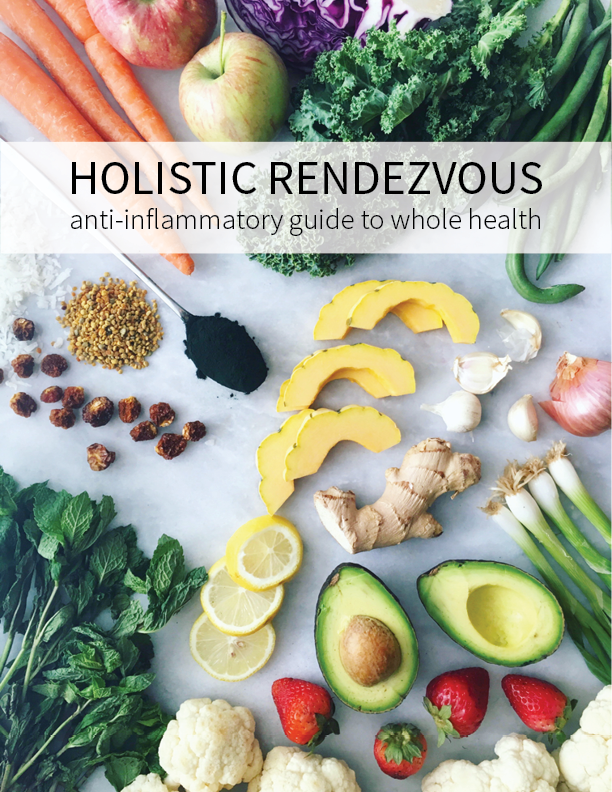 We could all use a little help strengthening our adrenal glands, so I love sharing recipes that are geared towards strengthening these oh so precious glands. Your adrenal glands are responsible for the “fight or flight” response that occurs under stress. The adrenals are nestled above the kidneys and are made up of the medulla (inner core) and cortex (outer covering) and are stimulated by the pituitary gland. The medulla of the adrenal glands secretes two hormones directly into the blood stream under stress, epinephrine and norepinephrine to produce the fight or flight response. This response increases blood to the heart, brain, and long muscles, while decreasing blood to the skin and intestinal tract. This allows your body to use all of your energy to fight, which is an extremely important evolutionary response. Unfortunately, we no longer use this response under a dire stress situation such as being chased by a lion. Instead, we stimulate our adrenal glands almost constantly; when we are stressed about school, work, money, relationships, or through excessive exercise, poor diet, or exposure to chemicals. We no longer use this system for solely fight or flight and that’s when issues start to present themselves. Cortisol is also released in this response which causes the breakdown of glycogen into glucose to provide instant energy for the fight or flight that is about to take place. However, when the body does not use this excess cortisol to fight or flight, it circulates in the body and damages tissues. It is also the culprit for the tire of belly fat around the waist. WHEW…I know, that’s a lot…and that’s not even all of it. Our adrenal glands, being part of our hormone system, can disrupt or strengthen every system in our body, making it extremely important to keep them healthy, so de-stress people! Being stress- free is easier said than done, but that is a HUGE part of healing your adrenals and keeping them functioning optimally…along with a healthy diet. Luckily, we can focus on key nutrients and blood sugar balancing foods to strengthen our adrenals as well. This recipe by Ginger Newtrition uses key ingredients for a delicious treat that is also extremely supportive. This cocktail contains, healthy fats, quality protein, minerals, and high levels of vitamin C, making it the perfect adrenal drink!! Collagen is loaded with amino acids, the building blocks for health. This added protein will balance your blood sugar, which is extremely important for adrenal health. Orange Juice adds high levels of vitamin C, which is extremely important for adrenal health as well as glucose, which is important for liver regeneration. Coconut cream contains healthy medium chain saturated fats that make this a blood sugar balancing treat and give your brain and body the health fats they need to function optimally. Mineral Salt contains many essential and trace minerals that may be lacking in someone with poor adrenal health. They are also necessary for restoring adrenal function! A delightfully creamy shake that supports you adrenal glands!